Click on the topics below. Click on the arrow at the bottom right to go back to the top of the page. What is the difference between the technology of the BeautyTeck and laser? Why should I buy the BeautyTeck and versus an aesthetic laser? It is well known that lasers can cause hypopigmentation to skin types 5 and 6, does the BeautyTeck have the same risks to dark skin complexion? What does the entire unit look like? How come you can match the performance of most expensive and bulky units? So why are most units still bulky? What is the difference between your device (BeautyTeck) and Cryotherapy? What are the advantages of your unit versus all the others? I have heard only doctors are allowed to use Voltaic Plasma devices for aesthetic uses, it that true? Why is the BeautyTeck not a medical device? What does that mean? Does your device burn the skin? Why is the BeautyTeck so good for moles removal? I am a beautician in the UK, can I use the BeautyTeck? What is the difference in power output between the four and three battery configuration? After a few uses the batteries do not hold the charge for long enough, what can I do? What are the consumables? 3.7 Volt AAA Batteries. Battery Chargers for the 3.7 Volt AAA batteries. What can I use to sterilise the electrodes (needles) and how long will they last? The technology uses the very well-known principle of electrical arcing. Electrical arcing occurs every time the different in voltage between two objects is higher than the breakdown voltage of the insulator (in our case “air”). An example of electrical arcing we are all familiar with is lightning. By using the electrical arcing you are able to perform a vast array of beauty treatments, including Eyelid Tightening. The effect of the electrical arc is a slight burn of the superficial layer of the skin. This in turn boosts the natural regeneration process of the skin which in turn causes the skin to tighten , improve the appearance of fine lines and look younger. Additionally electrical arcing burns very superficially this is also how benign moles and benign skin lesions in general are removed easily, with the BeautyTeck. To know more about what is electrical arcing as a physical phenomenon Click Here. To learn about Electro-fulguration (electrical arcing in aesthetic and dermatological applications) Click Here. To learn the difference between electro-fulguration and electro-dessication Click Here. the Acronym LASER stand for Light Amplification by Stimulated Emission of Radiation. In other words a laser is a coherent light source. This light-source to perform oblations in different fashions to accomplish tattoo removal, skin lesion removal, red veins removal, hair removal (attenuation) and more. The energy produced by the laser penetrate at different levels of the skin depending on the wavelength used. Each aesthetic application has its own recommended wavelength. Within the market most laser products are sold for a specific or a selected number of intended uses in the aesthetic industry. In our case the device does not use any light emitting source, it uses electrical arcing the same physical phenomenon seen in lightning. High enough difference in voltage (electrical breakdown voltage in air) produces an electrical discharge we commonly recognise as lightning. The arc (like lightning) emits a wide broadband light due to the ionisation of the gasses in the air (otherwise also referred to as plasma). However what produces the effect onto the skin, is not the light emitted by the ionisation, but the electrical high frequency electrical current produced by the tip effect at the electrode. More intended uses than conventional lasers. This adds a tremendous value to the BeautyTeck. Ask the cosmetic laser representatives about what you can do with any given laser equipment and at what cost. In our case, with the BeautyTeck, you have a vast array of applications. Most Laser tattoo removal instrument struggle to fade certain colour pigments in tattoos. 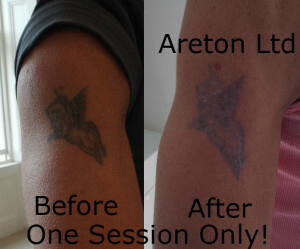 Electrical arcing is colour blind in tattoo removal, it fades all colours indiscriminately. Cost. The price of lasers can be several times higher than the price of the BeautyTeck. The BeautyTeck and its remote control together weigh only 270 grammes including batteries. Laser equipment is usually very heavy and very awkward to carry around. Cosmetic Lasers are not designed for portability. 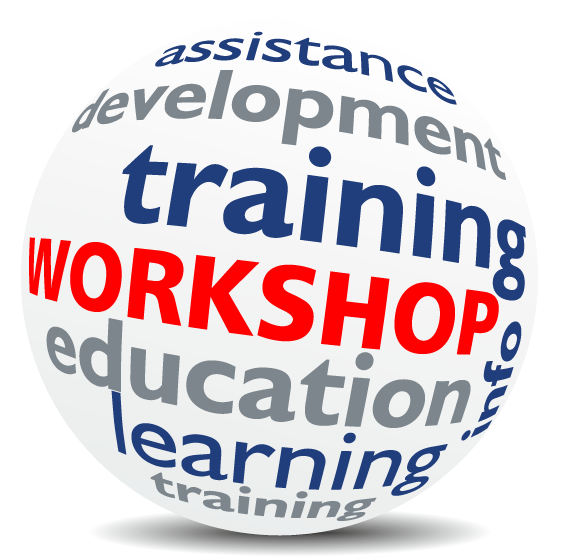 With the BeautyTeck you have on-line training available, we have designed this platform to allow you full access to the training material. Ask your laser supplier about the same alternative. What you will find is that they are not equipped with on-line platform. Areton Ltd are one of the first companies to invest in this type of training. We believe on-line training is the future. 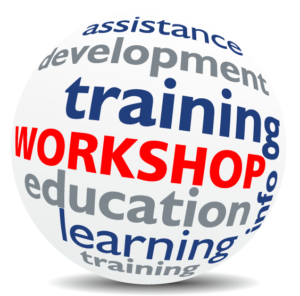 To access the on-line training platform Click Here. The BeautyTeck is easier and more intuitive to use than most conventional cosmetic lasers. Unlike aesthetic lasers, electrical plasma is not known to stop the natural production of melanin. Aesthetic lasers have been reported to lead to hypopigmentation in skin types 5 to 6. To date no permanent hypopigmentation has been reported with the BeautyTeck. After all, you do not need to take our word for it, do your homework and you will probably find that the BeautyTeck simply offers more value for money than most conventional lasers on the market. We encourage you to do your own research. It is well known that lasers can cause hypo-pigmentation to skin types 5 and 6, does the BeautyTeck have the same risks to dark skin complexion? It is very well known that one of the downsides of aesthetic lasers is the effects they produce on skin types 5 and 6. There has been many reports of hypo-pigmentation episodes after the use of Aesthetic lasers. Fortunately the same seem not to apply to the BeautyTeck. After several documented trials we have not had a single reported episode of long lasting hypo-pigmentation after any aesthetic treatments with our device. Episodes of temporary hypo-pigmention after the use of electrical arcing are normal. This is because the new skin is not rich in melanin as the surrounding skin, however over time the natural phenomenon of melanin production will have the new skin to blend in with the rest of the skin. In the video below you can watch a simple eyelid tightening procedure performed on dark skin complexion. This is because unlike with lasers, electrical arcing (Voltaic Plasma), is not shown to inhibit the natural melanin production which sometimes occurs after laser treatment especially in dark skin complexion. This is all there is to the BeautyTeck system. Completely portable and weighing only 270 grammes altogether including batteries and remote control. It does not need any external heavy unit to function. To our surprise we found is that when you open an the expensive plasma generating device, radio frequency, or laser unit, although the casing is large and heavy, the true technology is condensed in a very small printed circuit board, the rest is mostly redundant. Sometimes some redundant parts are purposely designed into these units with the single goal to make them bulky and heavy. On top of it, we also found is that the real power required to generate the heat required to produce the desired results is very low. Additionally, most of the units on the market use very low real power to achieve the required results. We thought that the power required could be drawn from normal batteries. We tested the idea and it worked in practice. Current technology allows us to condense (miniaturise) the core technology in very small spaces. Imagine what it is possible to do with a modern mobile phone today. In a small hand held device it is possible to enclose the computing power of the most of the large desktops available only ten years earlier. Therefore, technology is ready to miniaturise the core technology and this is exactly what we have done with the BeautyTeck. In essence the performance is matched because the core technology is inside the very small portable unit. We believe portability in aesthetics is the way forward in the future. It is a mere question of perceived value. It is far easier to justify high treatments prices and high equipment costs if the units take a large space and are very heavy. The larger the unit the more expensive it looks, the heavier the unit the more technologically advanced the unit is perceived to be. If you ever had the opportunity to see what is inside one of most bulky expensive units you will be surprised at the tiny space allotted to the core technology. Cryotherapy does not currently have any known application in skin tightening of permanent pigmentation removal (i.e. tattoo or permanent make-up removal). This question is generally made in the context of applications in skin lesion removal for aesthetic reasons. Cryotherapy in dermatology was first devised for wart removal and it is very effective for this purpose. Over time its use has been progressively extended in moles removal and benign skin lesion removal in general. In the video below we are going to see as an example of how seborrheic keratosis are treated using cryotherapy with a liquid nitrogen device. 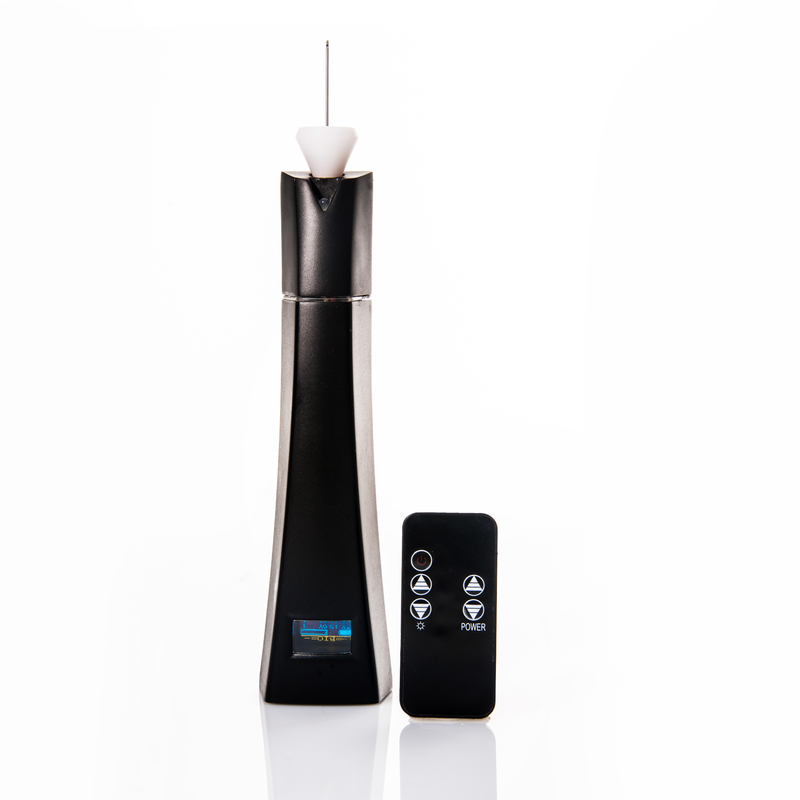 As seen the operator of the cryotherapy device, sprays the liquid nitrogen on the seborrheic keratosis twice. The length of the spaying operation is dictated by past experience. Of course, the longer the liquid nitrogen is sprayed on any one area or lesion the deeper the ablation effects. Therefore the operator has to operate the device based on his/her experience, with the particular device used. In the video above we cannot see immediate results because the treatment of skin imperfections with cryotherapy (or similarly with chemical specialised peels products) although effective cannot be used to physically remove the lesions during the treatment. The area sprayed with liquid nitrogen will scab off following the treatment. The scabbing effect will last between 6 to 8 days and after the part has scabbed off the effects are apparent. If the spraying had been excessive a permanent scar may follow the scabbing. If the spraying of the liquid nitrogen has not been sufficient the treatment needs to be repeated to achieve the desired results by removing the remaining residues after the scabbing following the first treatment is over. Also the degree of ablation possible with these devices is quite difficult to appreciate during the treatment itself. If the degree of ablation was just right during the treatment (while spraying the liquid nitrogen on the skin imperfection/lesion) then, after the scabbing is over the aesthetic results can be very good and even excellent. However a seen in the video the operator has to rely on his/her experience with the particular device used and estimate the amount of spraying required to achieve the desired aesthetic results. As you can see in the various examples in the video above, the degree of control and precision is much greater than the use of the liquid nitrogen device. The user can easily appreciate when the removal is successful by simply rubbing off the carbon residues produced by the electrical arcing. After rubbing the area using a cotton pad impregnated with non flammable antiseptic part of the seborrheic keratosis will be removed. Because the degree of precision of the electrical arcing is relatively high and the operator can appreciate how much of the keratosis has been removed after each spraying operation by rubbing the residues of the lesion with the cotton pad, the user has a clear visual appreciation of how much of the lesion they still have to remove. The user will repeat the spraying operation until all the residues have been removed. Once all the keratosis residues are removed the job is done and the client can see the results immediately. In the next video you are going to see another example of how easy it to to correct skin imperfections around the eyes by using the BeautyTeck. As seen in the above video the sharp precision of the Electrical arcing allows very good appreciable results at the end of the treatment. The BeautyTeck is currently not meant to remove warts as this is a medical condition and the device can be only used for aesthetic applications. Light weight (less than 300g) and small dimensions. One of the lightest units on the market and the entire system cam be carried around in a handbag including the small battery charger. Some other systems weight over 7 Kg and are advertised for some of the intended uses of the BeautyTeck. No need for heavy base stations or large units, which are mostly designed that way mainly to increase the perceived value. LED display on the unit. Most equivalent battery powered units do not have a display. Over 15 selectable power levels. Other equivalent units only have a fraction of the power levels of the BeutyTeck. Battery Level Indicator on the LED display. Some battery powered units only have LED lights to indicate the status of battery . The lowest power level of the unit is lower than any equivalent unit on the market and the highest is higher than all battery operated or compact units on the market. This provides you the maximum degree of versatility and flexibility of operation. Far more intended used than most of other devices or units on the market, this makes this unit adding far more value that most other devices. No need for mains connection. The unit is battery powered (AAA type of batteries easily available on the open market). The batteries are recharged separately on a compact and lightweight battery charges, like many available on the market. The battery charger can be easily purchased from many other suppliers on the market. No consumable gasses. Some large “plasma” units use external gasses. We believe these consumables are not effectively needed for the intended uses of the BeautyTeck. The BeautyTeck has been approved for use by Beauticians in the UK. Safety has been largely demonstrated at all power levels. The unit has several intended uses. Far more intended uses than most other units on the aesthetic market. If you had to purchase equivalent units for all the intended uses of the BeautyTeck you will often find that their combined value is over 150K USD. Consider the cost of Laser tattoo removal units alone for example. One of the very few units extensively proven to be safe and effective for eyelid tightening. Most other systems rely on the sales of consumables (electrodes or others). With the BeautyTeck if you prefer to reuse the electrodes you only need to sterilise the needles accordingly. If you want to purchase them as consumables from us you can also do so. The unit has been tested on all skin type and it is well known that electrical arcing does not have the same adverse effect (permanent hypo-pigmentation) on skin skin types 5 and 6 in particular which expensive lasers can have. For more information about how the BeautyTeck compares to aesthetic lasers Click Here. No, it is not true. There is no regulation or legislation in the UK and Europe restricting the use of Voltaic Plasma devices for aesthetic uses to doctors only. There are some companies claiming that only doctors are allowed to use their plasma devices. This is their choice. To make sure nurses and aesthetic practitioners are allowed to use our devices, we have not only consulted legal experts in the field but also posed the same questions to all public authorities. As a result we can confirm that, to date, if you are a nurse or aesthetic/beauty practitioner you can legally use our devices for aesthetic uses. At Areton Ltd, we purposely do not limit the use of our devices because we have the clear goal of spreading the knowledge and the use of voltaic plasma devices for aesthetic purposes throughout the world. We have several doctors, nurses and aesthetic professionals throughout the world proudly using our plasma devices for aesthetic uses only. To summarise if you have a BeautyTeck you do not need to be adoctor to use it legally all thought all European Member States. The BeautyTeck is not a medical device because it has only aesthetic intended uses. But what does that mean? This simply means that the BeautyTeck has applications intended to improve the appearance of the person undergoing the treatment. The device is not meant to cure, diagnose or prevent any diseases or medical conditions. In Europe even if a device is used for skin treatments this does not make it a medical tool. For example although tattooing devices treat the skin and clearly modify it by inserting the pigments into the dermis, they are not classed as medical devices. In Europe it any application that is intended at improving the appearance of the person is not a medical intended use. Tattoo Removal is a very good example of where the FDA and EU legislation differ. In the US Tattoo Removal devices are regulated by the FDA, in Europe Tattoo Removal devices are only regulated like any other general product. This means that the declaration of conformity is drawn as a self certification and it does not require any involvement from a notified body in order for the manufacturer to affix a legitimate CE mark and the device can be sold throughout the EU and any other countries with free trading agreements with the EU. Example of intended uses that are widely accepted as non medical are all the intended uses of the BeautyTeck, e.g. Tattoo Removal, Eyelid Tightening, Localised Skin Tightening, Moles Removal, Xanthelasma Removal, etc. An example of medical intended use is Warts Removal. This is because warts are caused by the HPV and are regarded as medical conditions. For more information on the classification of intended uses and devices in Europe, you can consult any notified body (authorised to apply the MDD, Medical Devices Directive) or the MHRA in the UK. For skin tightening, the intended purpose is to ablate (burn) the superficial layer of the skin to intentionally to cause a small superficial burn. The process in no much different from any aesthetic laser used for moles removal and superficial skin resurfacing. This superficial burn caused by the electrical arc in turn will transfer a certain amount of heat onto the deeper layers of the skin, hence stimulating the natural skin reaction to heat: Very Localised Skin Tightening. This precise ablation is also used to instantly removing (“by burning”) any benign skin lesion removed for aesthetic reasons. A certain degree of discomfort and sometimes pain can be experienced during the aesthetic treatments. The degree of discomfort or pain is very much dependent on the individual. Some people can go through the entire treatment without the use of any numbing product and are at ease during the treatment others find these treatments too painful and request the use of topical anaesthetics. Generally, the use of numbing products are recommended for the client comfort only however they are not strictly required. Benign skin lesion removal in general for aesthetic reasons. Brown Spots Removal. Click here to see a sample video. Improving the appearance of Hypertrophic scars. For all the above applications as a result of the aesthetic procedure you will have an instant result and the client will be very pleased. However the final results will show after the treated area has healed. Additionally the final results are not only dependant on the way you used the device, but also how the after-care was carried out by your client. 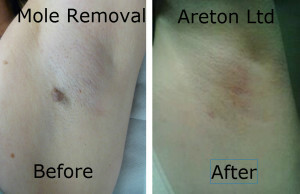 Example of immediate results of mole removal. The immediate results will be a shrinking of the skin due to the superficial dehydration caused by the carbonisation effects produced by the electrical arcing. Subsequently the treated area will recover. The area treated usually returns to normal 10 days after the treatment. At that point it is possible to compare the before and after picture to appreciate the results. Remember that the results of skin tightening are cumulative therefore repeating the treatments may eventually lead to the desired realistic results. In the video below you can see the results of upper eyelid tightening. We have only treated one eyelid to show the difference between the eyelid which was treated and the one that was not. There is a progressive fading of the tattoo after each treatment. Once again the results of each treatment are cumulative, therefore repeating the treatments will achieve further a further fading of the tattoos. There are many types of benign moles. Generally in order to remove a superficial benign mole minimising the risks of scarring the Beauty practitioner has to level off the mole with the surrounding skin. In other words the moles has to be flattened. The BeutyTeck has been designed to operate at different power levels. Because some moles are very thick, the highest power level is used to remove the bulk of the mole. In this way the bulk of themole can levelled in a convenient time frame. In the video below we have fast forwarded the removal of a benign mole. In order to remove moles while minimising the risks of scarring (wich can never be completely avoided), you have to make sure the mole is levelled off in the best possible way with the surrounding skin. Therefore the accuracy and precision of the instrument you are using is paramount. This is why the BeautyTeck has been calibrated to operate at very low power, in order to allow the maximum precision when it is most needed. Generally 4 to 5 treatments of average intensity lead to the desired effects for most skin tightening applications, including eyelid tightening. In benign mole removal and benign skin lesion removal one session is usually sufficient to remove most lesions. 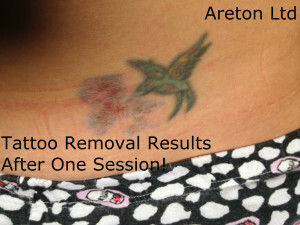 Epidermal Brown spots are removed very easily within one session. Age spots may require a number of treatment to be removed completely. In skin tightening we have seen results lasting for up to 2 years. Note that due to the normal aging process of the skin will gradually loosen over time again. Certain skin lesions such as Syringoma, Xanthelasma and others may recur despite of the method used to remove them. Yes! We have investigated thoroughly, and asked all the major insurance companies. We have also consulted with legal experts and we can confirm that any beautician (properly trained) can carry out all the aesthetic treatments possible with our device. Major insurance companies as October 2015 make the training for all beauticians mandatory and they require the beauty professionals to be NVQ level 3 qualified/equivalent or above. Therefore if you have an NVQ level three or equivalent you can be insured for all the aesthetic treatments possible with the BeautyTeck. What is the difference in power output between the four and three battery configuration. The BeautyTeck has two Battery configurations: three battery and four battery configuration. We have been asked what is the difference. The difference is that in three battery configuration you have the lowest output power of the voltaic arc. At three battery configuration，level 1, the power of the arc is milder than most more pricy devices marketed for eyelid tightening, while the power of the device at top power level (three battery configuration is comparable with larger and bulky units powered using the outlet. The four battery configuration allows more battery capacity and higher arc power at level 1, while the power of the arc is the highwet at maximum power using the four battery configuration. To undesrstand more please watch the followiung video. Nothing to worry about, this is very likely a sign that the rechargeable batteries have reached the end of their useful life. When they are new the batteries last over 45 minutes generating the voltaic arc continuously at maximum power using the 3 batteries configuration. When they are fully charged and new, the duration of the batteries depends not only on how the device is used but mainly on the particular mAh rating of the batteries you are using. The higher the mAh rating the longer the duration. As an example, the overall duration of the device with 3 new fully charged batteries (rated 500 mAh) is over 45 minutes applying the arc continuously at maximum power on a piece of steak using the “3 batteries configuration”. As the batteries are getting used, their overall duration start to deteriorate after every recharge, especially if they are overcharged or short circuited. Normally if the batteries seem to last only 5 to 10 minutes after you start using the device, this is a clear sign that the batteries have lost their charging capacity and need to be replaced. Also sometimes only one battery may become faulty and the early low battery warning sign occurs soon after using recharged batteries, even if apparently they are all fully charged. The solution is very simple: “discard all the batteries and use brand new ones”. What you will find when replace the batteries with new fully charged ones you will be able to use the device for its full rated time. In any case, in order to guarantee continuous full use of the device, it is advisable to always have at least 10 or more special 3.7 V batteries at your disposal. This will ensure that despite the fact that you have some faulty batteries you can still use the device continuously without any early interruption. 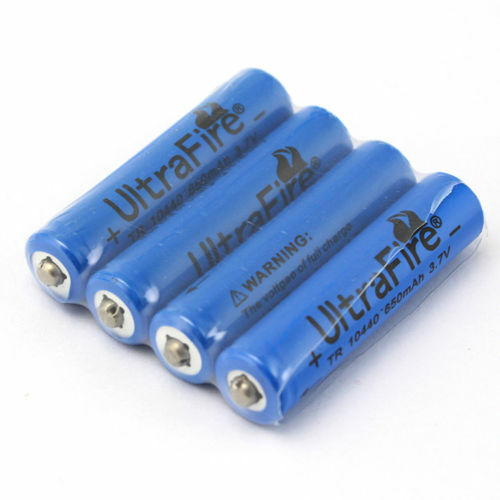 Purchase a number of special 3.7V batteries on-line. Purchase a charger which has overcharging cut off capabilities. The preferred charger is the “Intellicharger i4“, which you can purchase on-line. Doing the above normally resolves the problem of early deterioration and short battery duration. However in the unlikely case even the new batteries correctly charged do not seem to hold the power for long enough, contact us and we will work resolve your issue. There are virtually no consumables. This is because the needles can be sterilised after each use and is no need of external gas tanks or other disposable parts. 3.7 Volt AAA type batteries you can use with the BeautyTeck. There are several other approved suppliers of suitable rechargeable batteries. The batteries are rechargeable and it is advisable you have some spares. If you make normal use of the device you may need a new set of 4 rechargeable batteries every 2 months. The cost of the batteries range between 20 to 30 UK sterling per set including delivery. You do not have to stick to any particular brand , however make sure the nominal voltage rating is either 3.6V or 3.7V. The mAh (milli Ampere hour) rating is not important. 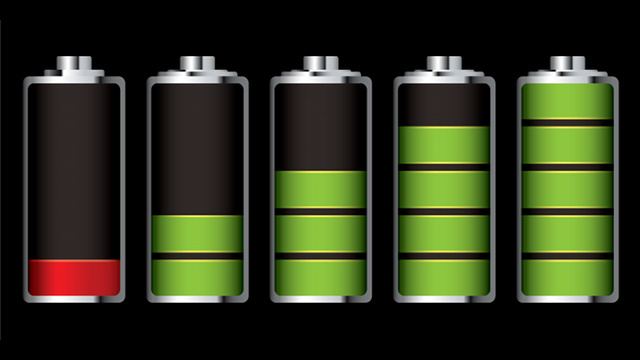 This is an indication of the capacity (charge duration) of each particular battery type. The higher the mAh rating the longer the charge will hold. There are several manufacturers of this special standard AAA 3.7 Volt batteries available from Amazon, Ebay and other on-line portals. The nominal voltage you are looking for is either 3.6 Volt or 3.7 Volt AAA size. You can choose any brand as long as The nominal Voltage rating is either 3.6V or 3.7V and the size type AAA. You can perform a simple search on Amazon.co.uk, Amazon.com, Ebay.co.uk, Ebay.com and on the search box type “AAA 3.7V batteries” or “AAA 3.7V” and select the 10440 type. AVOID BUYING BATTERIES WITH PROTECTIVE PCB BECAUSE THEY ARE LONGER THAN THE STANDARD BATTERIES AND THEY MAY NOT FIT. 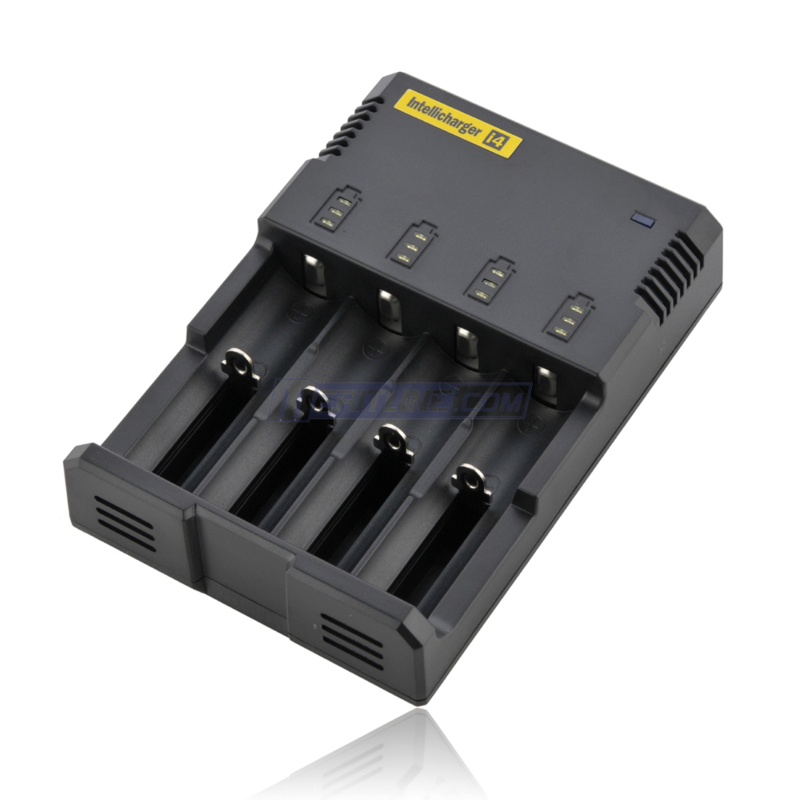 You can choose any suitable battery charger you like. We are not the battery charger manufacturer. Like the Standard 3.7V AAA batteries there are several battery charger manufacturers you can choose from. The one we are particularly fond of is the “Intellicharger i4” which is suitable to battery charger the 3.7V or 3.6V batteries. You can purchase this charger from several portals on-line. This battery charger can be purchased from several on-line stores throughout the world including Amazon.co.uk. This battery charger can be purchased from several on-line stores throughout the world. An Autoclave suffices to sterilise the electrodes before use. 3 electrodes (needles) are supplied with the unit. They are not supplied in sterile packaging. The needles must be sterilised before using it on any new client. The best way to sterilise them is the use of an appropriate autoclave. An non pressurised ultra violet autoclave suffices for this type of sterilisation purposes. 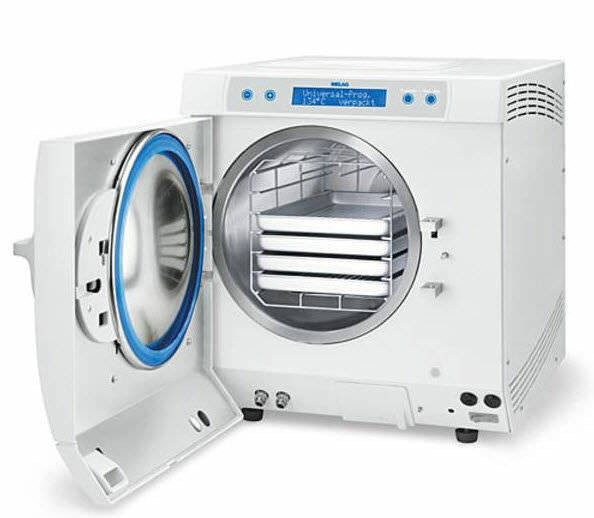 The price of suitable autoclaves start from 100 GBP. The needles are very durable and hard wearing they can last for long. This is not only because the material they are made of, but also because they are not in contact with the skin and they are not subject to physical wearing. This means that the three needles we provide with each order will suffice for a whole year during normal use.